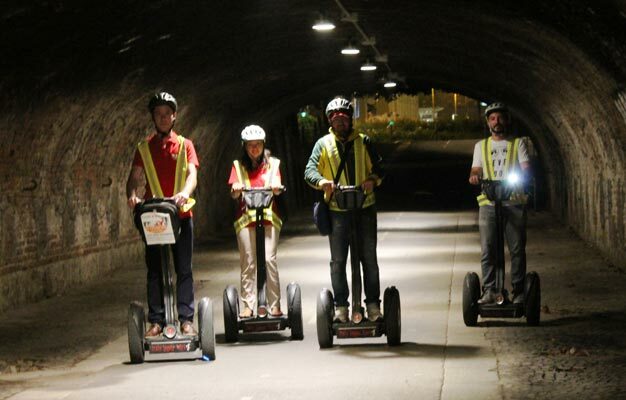 Join us on this segway tour of Milan by night and experience a memorable ride through the beautiful city filled with lights. After a quick orientation on how to use the segway, we will drive out into the streets of Milan and start our tour. The small group and yourself will follow your tour guide, who will take you from historical places in Milan's city center and arrive at the brand-new modern skyscrapers. You will among other things see the incredible Unicredit Tower, which is the tallest skyscraper in Italy, by the innovative Vertical Forests and the glittering Diamond Tower. Leonardo da Vinci's canal lock at San Marco, Piazza 25 Aprile and Porta Garibaldi, Corso Como, Milan Central Train Station, the Unicredit Tower, the Diamond Tower, the Vertical Forest, Porta Nuova Gardens, Piazza Gae Aulenti, Palazzo Lombardia, Piazzale Principessa Clotilde, lights and vibe of the city by night. The tour starts at the Milan Segway office at Via dei Chiostri. Please show up 15 minutes before departure. Yes, to participate on this tour you must be between 12-70 years old. Is there an weight limit? Yes, all segway riders must be over 100 pounds (45 kilos) and less than 250 pounds (113 kilos). - The night tour route is not the same as our day tour. - During the night tour we won’t stop for dinner or snacks. - This tour is not recommended for pregnant women and for people over 70 years old. 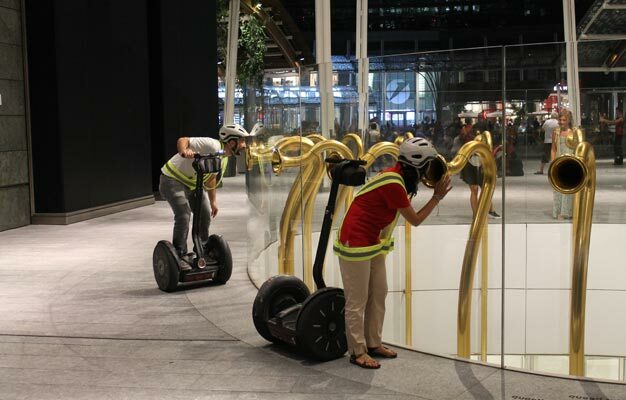 - Riders must be able to easily and quickly step on and off the segway without assistance, which requires physical abilities similar to climbing and descending stairs without any assistance or use of a handrail. - It is highly recommended to wear comfortable shoes. - Please do not carry large bags while you are on the segway.